Here are a couple of really easy pendants you can make that would be good Christmas or holiday gifts this year. 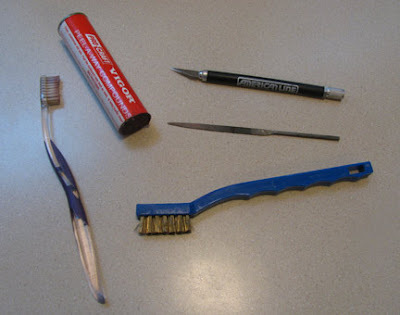 I used CopprClay, but you could use any other metal clay you wanted, or even polymer clay. Since these end up looking somewhat like fossils, it would be interesting to experiment with some of the "granite " colored polymer clays, or to mix your own faux stone. 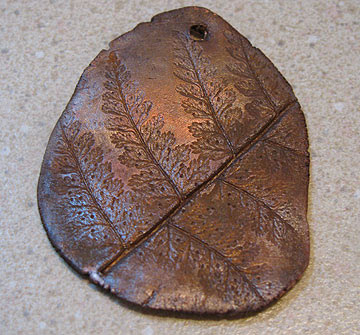 The first pendant is made by simply rolling a leaf or anything else with texture right into the clay. 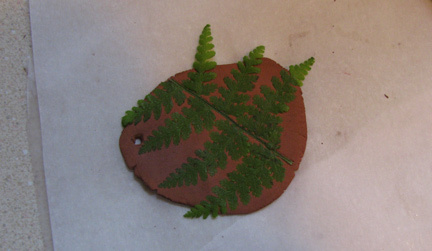 You can either peel the leaf (I used a fern) back up, or leave it in place as it will burn out during firing. The second pendant takes an extra step. You first will need to create a mold of your leaf or texture, using polymer clay or any other mold-making material. 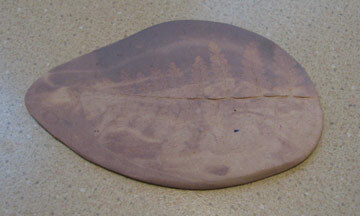 Then the clay is pressed into the mold and removed before firing. 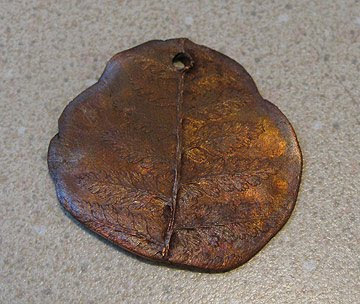 The first technique gives you a pendant with the shape pressed into the metal, and this second technique gives you a raised shape on the surface of the metal. Both are very cool looking...it's really just a matter of preference. These are very nice - I like the organice look of them - I haven't gotten into any type of clay yet - hmmm - something else to learn and spend money on!! !